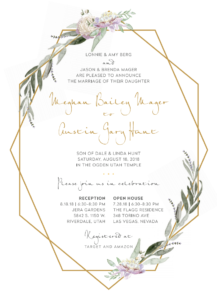 Planning around the intricacies of an LDS wedding ceremony can have its own unique challenges. 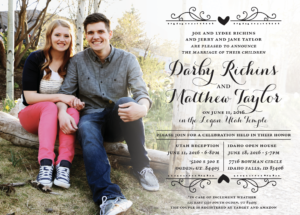 Trust a Utah company with years of experience working with LDS brides like you. 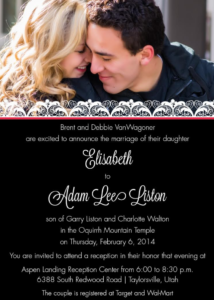 You want your big day to be amazing. 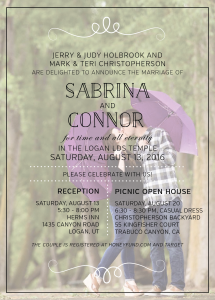 But with an LDS wedding, you have some extra considerations to take into account. 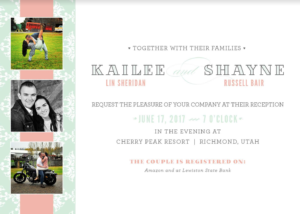 First is the normal stuff like guest lists, who will be hosting the wedding, the location, and the dates. 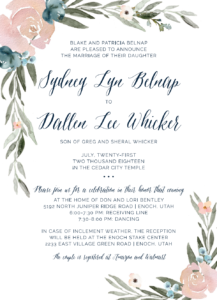 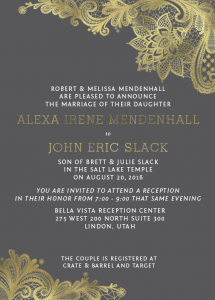 However, an LDS wedding adds layers of complexity with issues such as, what to wear for the temple vs. the reception, who will be invited to be waiting outside the temple when you exit, when and where will you meet after the temple, what time will you complete your sealing and how will that affect the start time of the reception, etc. 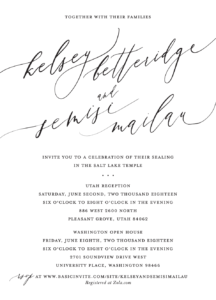 Step one is sending out beautiful invitations. 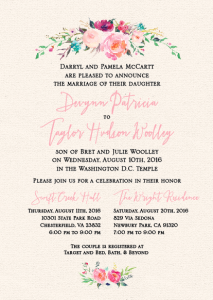 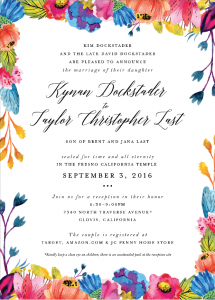 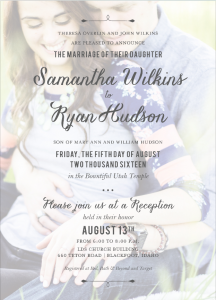 Luckily, The Invitation Maker has seen it all and we have tons of satisfied clients to back it up. 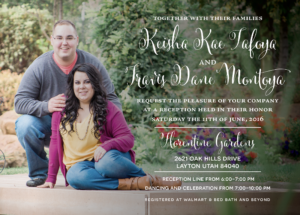 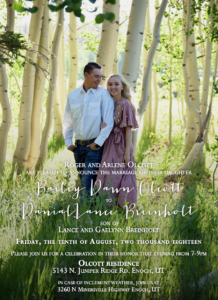 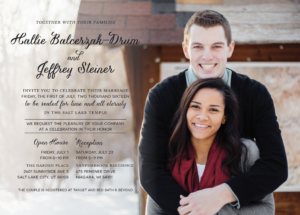 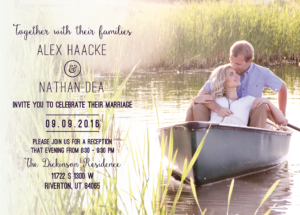 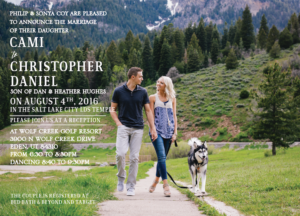 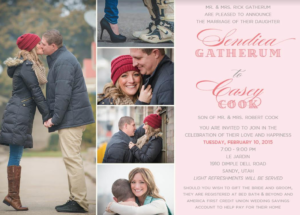 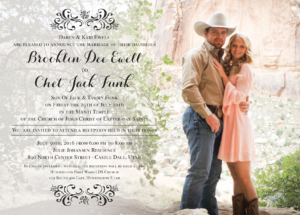 Check out our vast gallery of past examples to see what other Mormons like you have done for their wedding invitations. 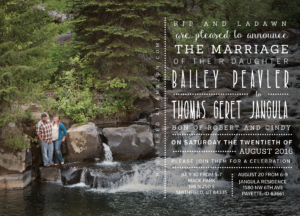 You can use their examples as templates for your own or design something from scratch to suit your tastes. 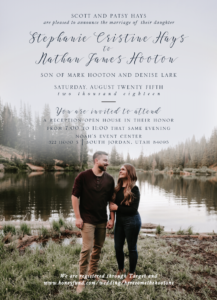 Got lots of photos you want to include? 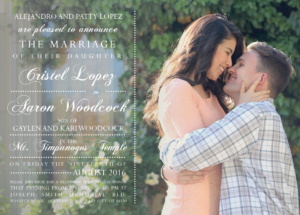 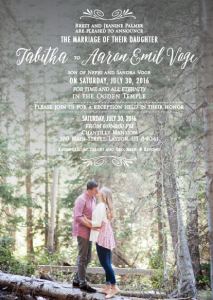 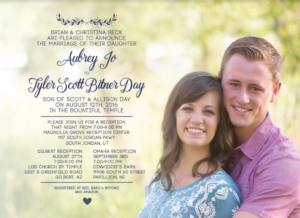 LDS wedding invitations with photos have never been easier. 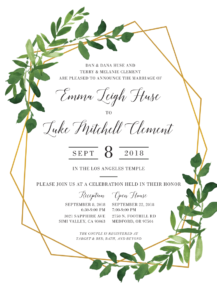 Don’t stress about getting the perfect invites! 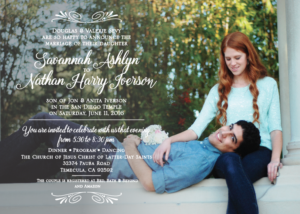 We offer so many deluxe features standard with all invites, plus the ability to upgrade to add your own touch with clear invites, foil, belly wraps, and more! 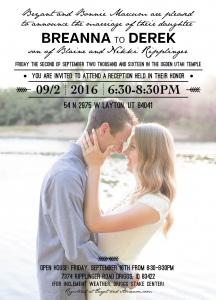 Mormon weddings are big in Utah, and that’s where we happen to be located. 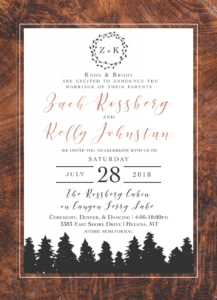 But as a 100% web-based company. 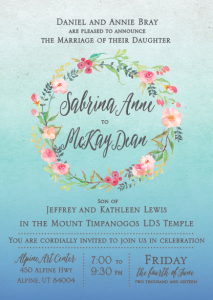 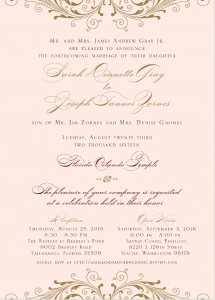 we can also work with you from anywhere and ship your LDS invitations to anywhere in the United States. 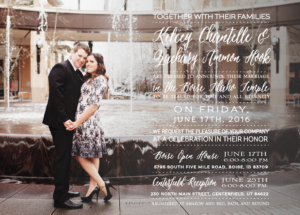 Contact us today, check out our FAQ, or look at examples of our work to get started now.